Happy Thanksgiving friends!!! 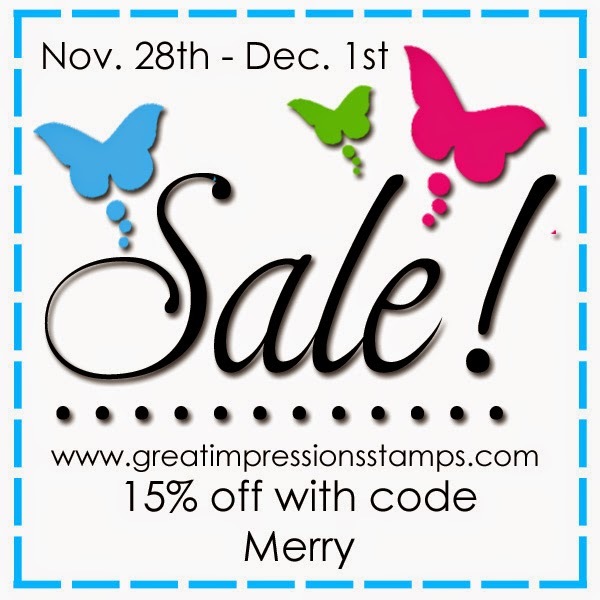 In honor of Black Friday, Great Impressions will be running a 15% off sale with code Merry from November 28th through December 1st! Use code cyber for even more savings on Monday! Sign up for our newsletter and receive an additional code for even more savings! HUGS and happy shopping!! !